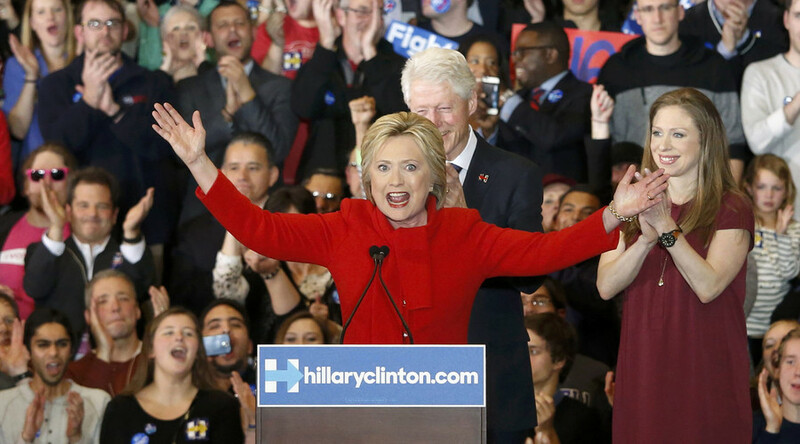 The gods were certainly smiling on Hilary Clinton as the Democrat presidential candidate won SIX coin tosses to help her edge past rival Bernie Sanders in the Iowa Caucus and take first blood in the party's nomination race. One of the close calls took place in the city of Ames, which is around 30 miles (48km) north of the state capital Des Moines, and is home to Iowa State University. “A total of 484 eligible caucus attendees were initially recorded at the site. But when each candidate’s preference group was counted, Clinton had 240 supporters, Sanders had 179 and Martin O’Malley had five (causing him to be declared non-viable),” said David Schweingruber, a sociology professor at Iowa State University, who was present at the caucus and explained the situation to the Des Moines Register. The discrepancy prompted the precinct leaders to call a Democratic Party hotline, in order to find out how the situation should be handled. Despite having the latest technology at their disposal, the Democrat Party hierarchy decided the best course of action would be to go back to basics and settle the dispute with a coin toss! A supporter in the Clinton camp correctly called “heads” meaning that Clinton picked up five of the eight delegates in precinct 2-4 Ames. However, this was anything but an isolated incident. Two precincts in Des Moines and one each in Newton, West Branch and Davenport all had to be decided by the toss of the coin. Amazingly, Clinton managed to win each of these coin tosses, which helped her to eventually secure victory in the Iowa Caucus. So bizarre that Clinton won 6 of 99 precincts on a coin toss. Wouldn't it make more sense to award 3 to each tied candidate?